It’s simple really – a good website host will make you money. Your site will run quicker improving the chances for conversions. You site will have more uptime improving the chance for conversions. Again, it is simple. A quality hosting company will be easy to work with, provide good technical support which will save the developer (Ahem, your Sherpa) a lot of headaches and time dealing with crappy hosting or crappy tech support. The less time Sherpa spends online with tech support the lower your bill from us is. We have seen very expensive hosting that WordPress sites run terrible on and we have seen reasonably affordable hosting that it runs great on – WP Engine has plans starting at $30/month. 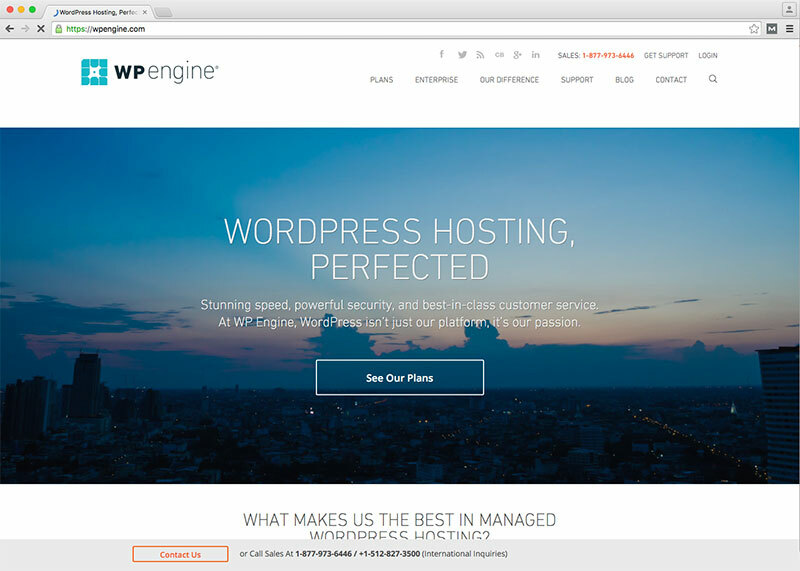 WP Engine Hosting has been performance tuned specifically for WordPress. This means you get the best performance right out of the gate. The best part is you didn’t need to pay your Sherpa to mess with clunky performance plugins that work only mediocre. Just for you – WP Engine Hosting Coupon!